ecoBUDGET is an environmental management system, specially designed by ICLEI based on the concept of environmental budgeting. It provides a framework to assist in sustainable local development and effective long-term management of natural resources and the urban environment. The first ecoBUDGET model was implemented in European local authorities and has been constantly improved. It has been adapted for use in Asian countries and implemented successfully in Guntur, India and in the Municipality of Tubigon, Bohol. A site visit to Tubigon was conducted on 26 February 2010. 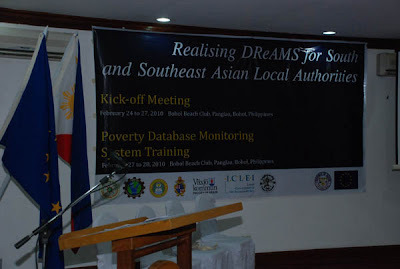 The Poverty Database Monitoring System (PDMS) for Local Governments is a database software developed by the Provincial Planning and Development Office (PPDO) of the Province of Bohol along with the Bohol Local Development Foundation (BLDF). 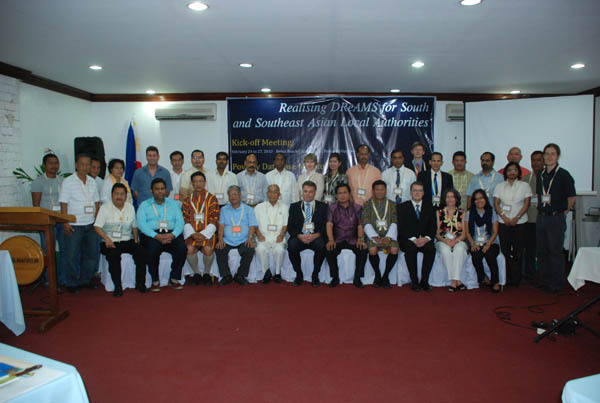 An Orientation on PDMS for the Realising DReAMs project was given on 27 February 2010. 8. To familiarize the participants with the ecoBUDGET environmental management system. 9. Initial basic knowledge of the tools being used in the project.